While flipping through the channels with my remote, I stopped on the movie "Diary of a Mad Black Woman" on BET (Black Entertainment Television). Excellent movie. During a commercial break, they gave a news update. An announcer said, "They tried to get the Bronx kid, Sonia Sotomayor, but she beat them." There was not one mention of Sotomayor's controversial racist statements. Thus, ill-informed black viewers who don't follow the news closely are led to conclude that those "evil racist white Republicans" are at it again trying to block a person of color. I wonder how BET reported the Democrats' trashing of black Clarence Thomas and Hispanic Alberto Gonzalez? Well, those two traitors deserved to be trashed. How dare they prosper without affirmative action and lowered standards contradicting the Democrats' victimhood rhetoric. Education, hard work, and character? Heck no! We cannot allow such a conservative message to influence black youths. These Uncle Toms must be destroyed! Then, the announcer praised Obama for his Surgeon General nominee, Regina Benjamin, a black woman. Again, no mention of Benjamin's politics, which are far left. The report glowingly praised Benjamin for her wonderful work helping victims of Hurricane Katrina. Call me crazy, but I believe they even super-imposed a subtle halo over her head. Just kidding. However, ANY opposition to Benjamin will be reported as more racism from those freaking S.O.B. Republicans. Folks, this is so wrong and a huge disservice to African Americans. Urban radio is also guilty of unfair and unbalanced liberal-favored reporting. No wonder Obama received 90% of the black vote. No wonder black Americans do not have a clue regarding what is truly going on in our country. All they are fed is "Obama good. White racist Republicans bad." Why does black media continue giving aid and comfort to the real enemies of minority progress? With the majority of black Americans getting their news from black and white liberal biased media, there is very little chance of them hearing the truth. 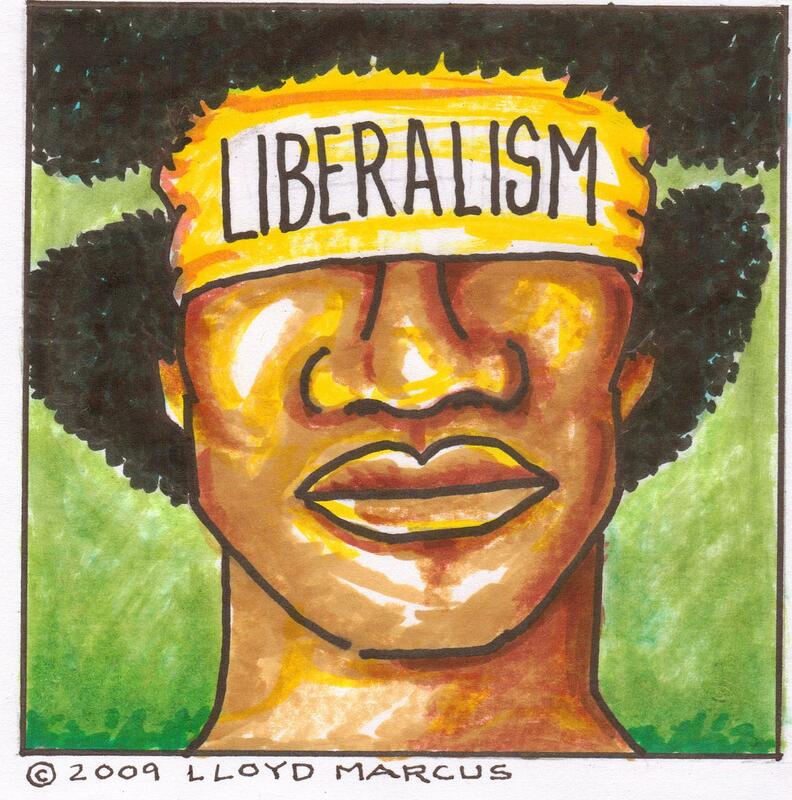 Fortunately, I escaped the liberal plantation in the early 90s when I was exposed to Rush Limbaugh. Listening to Rush introduced me to brilliant black conservatives like Thomas Sowell and Walter Williams. I thought, "Why haven't these guys been featured on Oprah or honored at the NAACP awards?" Answer: These blacks are paradigm breakers. They do not fit the "we are black, thus special concessions must be made for us" template. So, how do we get the truth to black America? There are numerous modestly-funded conservative black organizations: Project 21, NBRA.info, and CURE to name a few. Recently, RagingElephants.org made the liberals crazy with outrage over their "MLK was a Republican" billboard. I loved it! But, we need much, much more bold, in your face messages. These courageous black patriots need your support. "Emancipation. Revelation. Revolution" won Best Cutting Edge Film at the NOIR Film Festival 2006. The documentary chronicles the civil rights movement in America and the role that both major political parties played in it. This extremely revealing and educating film has yet to receive major exposure (ERRvideo.com). I am president of the NAACPC, National Association for the Advancement of Conservative People of Color. At first, I rejected the position for the same reasons I rejected joining a black Republican club. I thought, "We are all Americans with the same concerns and desires for our country and families. So, why is a black group necessary?" I still do not personally feel the need to belong to a black Republican club, but to Republican blacks who do, fine. All efforts to set blacks free have my full support. However, my NAACPC is about educating, not just black America, but ALL Americans to the truth that conservatism is the most direct and fulfilling route to achieving the American Dream. There are incidents in the Bible when God removed the scales from the eyes of individuals enabling them to see and receive the truth. 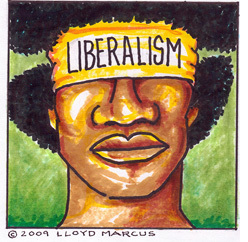 This is my prayer for a blinded-by-liberalism Black America.